More: Why do these letters work? I just tried your phone so I could tell you with my voice how amazing the final product is. I am just beyond words. You are damn good. We will do some great things together in the future. With you on my team, I am that much better and able to best serve my clients. How cool is that? I could not be happier than I am now with having found you and your amazing talent. Feel free to use me as a reference but I suspect you have so many already. Hi Marte, I absolutely LOVE IT !!!! You are amazing ! Thank you so so much ! Your work is great! Quick, concise and you are open to suggestions and will accommodate the Client with their needs in a professional manner. Thank you for creating my bio. It’s perfect! I am sure I will be using your services again in the future. Thank you writing such a wonderful bio. I have spent hours trying to get everything into a narrative that pleased me. You have done just that! It’s perfect! The South Pasadena page is fabulous! I love your writing and am so glad to have made this connection with you! This is absolutely wonderful! You are a great listener and awesome writer. Amazing! You injected the personal side of me into the copy and capitalized on my skills and its application to my real estate profession. That’s exactly what I envisioned, but didn’t know how to organize my thoughts on paper. “Marte Cliff will take care of all your copywriter’s needs! She values your time, offers new solutions and ideas, juggles multiple projects with ease and delivers on time, every time! I was delighted with Marte’s copy and her professionalism while writing for my website. She is clearly an expert in the real estate business and that is certainly what helped the copy on my website to stand out. Her understanding of every facet of real estate. 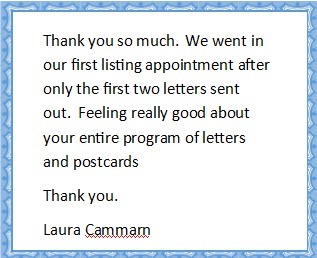 She wrote, she tweaked, she made excellent suggestions – since I know little about writing – I was very happy with her and her work and would highly recommend her whether you have real estate needs or other copy needs. She “gets it”. I will absolutely use her again when the need arises and highly recommend her services.. In my email: The articles are exactly what I wanted! Full of great detail, without being wordy, and best of all, they sound like something I would write! Thank you so much! I’m sure we will have another project in the near future! I could not be happier. Feel free to use me as a reference any time. Thank you once again for your help, patience and determination in seeing the project through. You are GREAT to work with and I will recommend you if I know anyone who needs excellent copywriting. It is exceedingly rare to work with someone who actually CARES about her clients! Marte, I am not in the R/E business but I like your stuff. You have the talent for respecting the clients in your letters and not shoving ME ME ME ME , I I I in their face. It’s how can I help YOU not how can I help me. Marte, Just wanted to let you know I have one listing and two possible others from the letters I have been sending. I am now sending out the 4th. YEAH!!! *UPDATE: I have gotten 5 listings from sending your letters. Thanks so much. I asked Marte for some help in writing my niche marketing piece for my website at www.thepopeofrealty.com I had been following Marte online for quite sometime as she sends informative pieces via email about getting your message across. Now don’t get me wrong, I am a skilled writer myself, but Marte has been down this particular road of writing marketing pieces and was able to quickly and thoughtfully give me the initial text on which to build from for my site and this she did quickly after about 3 “getting to know you” direct phone calls and a few subsequent emails. Check it out for yourself! If you want to “turbo charge” your copy whether it’s for your website, print, or email marketing you must allow Marte to work her magic. I stumbled across Marte whilst researching real estate copywriting online. And am I glad I found her! I was highly impressed by the sample copy examples on her website and felt comfortable leaving my copy in the hands of a copywriter that knows the real estate / estate agency business inside out. And I must confess to feeling excitement when giving her my copy for its much needed spring clean. And I wasn’t disappointed. Marte writes copy in an attention-grabbing way that ensures the reader stays engrossed right to the last word. . And most importantly, our website conversion rate is up and so are sales. Great copy really does work and outsourcing my copy writing needs to Marte allows more time to get on with doing deals. I really liked this email. Would you mind if I included this in our Monthly Newsletter this month to our Students? This would really benefit them. I really want to thank you for your emails, they are very helpful!!! Just want to let you know that I benefit a lot from your newsletters. I am an agent in South Africa, my company is still small but I try to excel in everything I am doing through your advises. That’s what I love when working with you. You always give me what I ask on the first time. That’s exactly what I needed. It is such a wonderful treat to me to work with someone as pleasant as yourself! Thanks for being such a great accent to my business! When I finished writing a bio for Corinne Guest, I had no idea that it would be the one reason for her getting a good new listing – nor that she’d write this Active Rain Post about it.